Branson Area's local Civil Air Patrol (CAP) awarded Cape Fair's Mike Cooper the honor of "Officer of the year" for service and dedication to their mission of assisting the United States Airforce with missions, educating the youth and helping local and state agencies with air support when needed. "There are at least 25 other guys on our sqaundron that deserved tihs award", Cooper asserted. Cooper's love of aviation prompted him to build a runway on his property in Cape Fair and is thrilled by the opportunity to execute search and rescue missions putting his passion for flying towards a good cause. Cooper's entrepruenerial ventures include local real estate firm 76Realty, Perfect Signs and bounty hunting. SPRINGFIELD, Mo. – Beth Phillips, United States Attorney for the Western District of Missouri, announced today that a former Branson, Mo., man has pleaded guilty in federal court to income tax evasion. James H. Caler, 49 of Tempe, Ariz., formerly of Branson, waived his right to a grand jury and pleaded guilty before U.S. Magistrate Judge James C. England on Wednesday, Dec. 22, 2010, to a federal information that charges him with tax evasion for income earned in 2008. By pleading guilty, James Caler admitted he and his wife, Nancy Caler, had tax problems with the IRS in the late 1980's. The Calers owed taxes and did not want the IRS to place levies on their assets. The Calers have not filed federal income tax returns since the late 1980's and have hidden their taxable income from the IRS ever since. In order to hide their income, James Caler used the fictitious name of James Adams or J.D. Adams and Nancy Caler used the fictitious names of Marilyn Adams and Marilyn Akers. Using these aliases, James and Nancy Caler obtained fictitious driver’s licenses from Missouri and Arkansas. The Calers then used their fictitious identities to open bank accounts at Bank of America and US Bank. During 2006 through 2009, the Calers worked for UBuildit, a company located in Arizona. Ubuildit issued James Caler’s and Nancy Caler’s paychecks to limited liability corporations created by the Calers. The Calers deposited the Ubuildit paychecks into bank accounts established in the alias names of James and Marilyn Adams. At the end of each tax year, James Caler instructed UBuildit to issue IRS Forms 1099 to the limited liability corporations. Caler knew that by doing this the IRS would not be able to detect he was earning income and he would defeat the placement of liens against his assets. During 2005-2009, James Caler earned additional income from various construction projects, real estate sales and the sale of gold coins. For the tax years 2005 through 2009, the total federal income tax due and owing is $84,683. In 2006, James Caler submitted an IRS Form W-4 to Ubuildit, on which he claimed to be exempt from federal withholding. Because of this, Ubuildit did not withhold taxes from Caler’s pay. Under federal statutes, Caler is subject to a sentence of up to five years in federal prison without parole, plus and a fine up to $100,000. A sentencing hearing will be scheduled after the completion of a presentence investigation by the United States Probation Office. This case is being prosecuted by Supervisory Assistant U.S. Attorney Michael Oliver. It was investigated by IRS-Criminal Investigation. 7:40 Branson alters budget to pay airport 2010 debt leaving 2011 payments unfunded. $80,000 is coming from the Convention Center which is far under budget.The reduction in expense comes from Bill Durban's projection that the funds $177,550 is being taken from the demolition fund. City leaders agree that due to the fact an expense to blow up private property won't be used due to legal complexities of taking citizens property and using dynamite to blow it to smithereens. This is the first reading. Alderman Sandra Williams and Rick Davis voted against the bill. 7:45 Random Blogger asks board to trim the fat citing $800,000 handout to the Taney County Health Department and $87,000 the board is approving to spend on themselves.Alderwoman Cris Bohinc reminds crowd what fiscally responsible citizens they are. 7:55 Alderman Rick Davis criticized Branson City Administrator Dean Kruithof for taking "fat" out of the budget. He asked that Kruithof not "find" money for the airport in the future. Citations for the sale of intoxicants to a minor were issued to those clerks violating the liquor code. A rescue is underway of over 600 passengers who were stranded Saturday night and into Sunday on a showboat that ran aground on Table Rock Lake due to high winds. Passengers, including children and the elderly, are disembarking a few at a time onto All-Terrain Vehicles across a man-made berm built in the middle of the night to reach the ship. KSMU's Jennifer Moore has this report. As the winter winds raged Saturday night, nine passengers who had pre-existing conditions were slowly and carefully loaded onto a small, US Coast Guard boat. The other passengers tried to get as comfortable as possible for what was going to be a long night. The Branson Belle cruise ship took off at 4 p.m. Saturday on Table Rock Lake and was supposed to be just over a two-hour trip. Sergeant Dan Bracker with the Missouri State Highway Patrol said the boat had a problem with its propeller. After the propeller began working again, excessive winds caused the ship to drift, and the hull hit the ground about 50 yards from shore. A tugboat was unable to do much good. “They’ve knocked down trees with a bulldozer, built a path from a piece of private property here on the Corps property to the shoreline," Bracker said. Rescuers battled high winds, gusts of snow, and sub-freezing temperatures to reach the passengers. The Branson Belle is owned by Herschend Family Entertainment Coporation, and it operates under the arm of Silver Dollar City Attractions. Jay Scribner took a lot of heat for his decision to leave a ministry at a theater in Branson because Nelly was going to perform. Even though the assessment was harsh I believe it's unfair to criticize someone without giving them the chance to respond. During a 45 minute interview Jay Scribner discusses issues of Church and State in Branson. Due to content size restrictions, the interview has been cut into four parts. 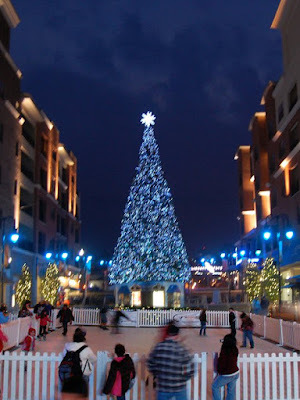 After Christmas the Branson Landing will have an ice skating rink. 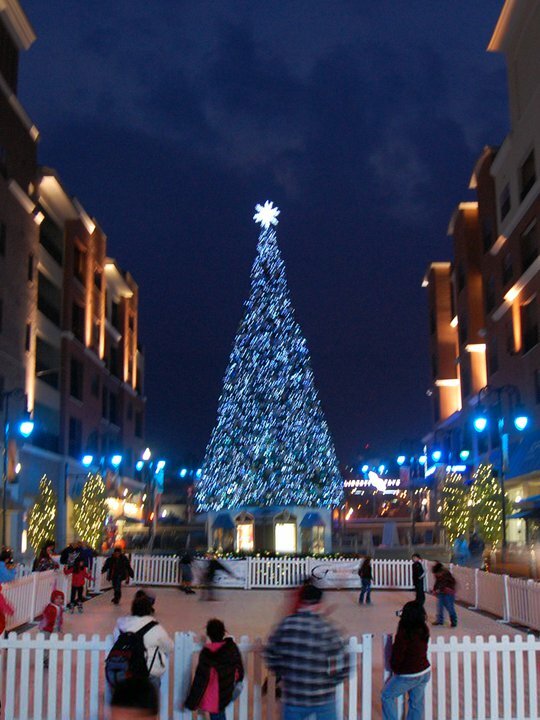 Branson Landing management said a press release will be issued soon. Branson Alderman and the Mayor held a quorom in Denver Colorado last week. The meeting was preliminary to the upcoming elections where the Mayor and several board members will have to re-gain approval from voters. The expense of holding the meeting was paid by taxpayers who will shell another $86,000 including over $4,700 on food billed at the expense of Branson's citizens. The Mayor and Board of Alderman will likely spend over $70 million next Tuesday approving the 2011 budget which includes and $800,000 handout to the Taney County Health Department. During a meeting informing citizens of increased fees for business transactions with the city, a health department official admitted Mayor Raeanne Presleys wouldn't be able to pass proposed tax increases for the department after unilaterally agreeing to give the entity the $800k check. The Health Department works close with Skaggs, a private hospital of which Presley serves on the board. The process of unilaterally promising the money raised concerns from both the city administrator and city of Branson's finance director. Concern over the promised funds surfaced after it was discovered the handout was not in the initial draft budget. During meetings documented on this news site, the Taney County Health Department promised self sufficiency as assets near $4,000,000 were transferred to subsidize integration of the city and Taney County Health Department. Before the merger was implemented, the Taney County Health Department was financed through a property tax levy. While the levy is intact, the concept of perpetually funding the department was not part of the original plan. In fact, the plan was to eliminate the expense. Restaurants in Branson will be getting three annual inspections instead of two to raise funds for the city in a separate bill passed last week. The new funds are not being allocated towards paying the bill Presley promised to give prior to board approval. Since taking office, Presley has spent more funds annually allocated to the Mayor and Board of Alderman than the entire sum of previous administrations since the foundation of the city. During several open meetings we requested the documents detailing $4,000,000 allocated directly to the Mayor and Board of Alderman in 2008. The city has continued to deny access to the requested files in contradiction to the Sunshine Law which requires specific means of ensuring corruption can be curtailed through public review. The Holiday Rumble, Branson's firt PRO/AM Mixed Martial Arts (MMA) event is only hours away from starting. Everyone knows the desire for holiday brutality as the winds blow us closer to our relatives over turkey and stuffing. Practitioners of karate, wrestling, boxing and other fighting disciplines sized each other up before chowing at a Chinese buffet on the Branson strip last night. An eerie silence and overkill of testrone filled the room as fighters eyed their competition in wait for clearance from both medical doctors and weigh-in by a certified official. Over the past few weeks I've been able to get a view of the complexity of organizing a fighting event of this size. The production aspects are phenomenal, including audio, video and web production - all light work compared to buying appropriate insurance, and medical staff including Emergency Medical Technicians who will be on the scene with an ambulance. The hexagon structure shown above will soon be layered with blood and sweat. Like Festivus, tonights first of its kind event at the Branson Convention Center will showcase feats of strength and will. Athletes trained in Karate, Taekwondo, boxing, wrestling and a wide variety of martial arts will square skills before a live audience in this first of it's kind event for Branson.